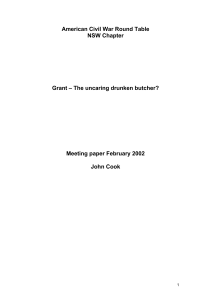 Meeting paper Feb 2002 - Grant – the uncaring drunken butcher? 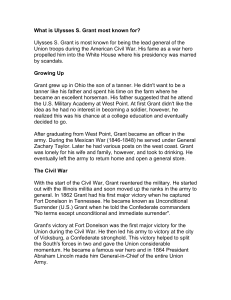 The Presidency of Ulysses S. Grant began during the turbulent Reconstruction period following the American Civil War. 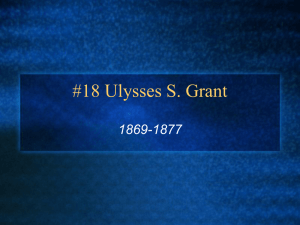 Grant was elected the 18th President of the United States in 1868 and was re-elected to the office in 1872, serving from March 4, 1869, to March 4, 1877. 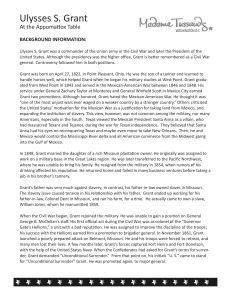 Grant was a Republican, and his main supporters were the Radical and Stalwart factions. The United States was at peace with the world throughout the era, and was prosperous until the Panic of 1873, a severe national depression, that dominated Grant's second term. Grant bolstered the Executive Branch's enforcement powers by signing into law the Department of Justice and Office of Solicitor General that was implemented to protect the civil rights of African Americans. Grant expanded federal authority that protected African American civil rights against domestic terrorism in the South. 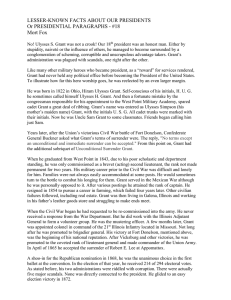 Grant's presidency represented the Civil War values that included ""union, freedom and equality."" 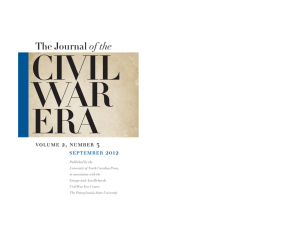 Grant's Reconstruction policy, however, was challenged by the complexities of using the U.S. Army to impose democracy and legal equality regardless of the resistance of Democrats in the South. 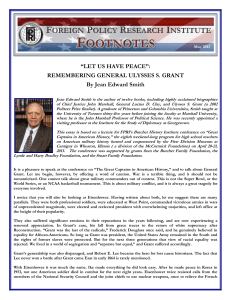 Grant worked hard to ensure the passage of the Fifteenth Amendment that gave black men the right to vote. 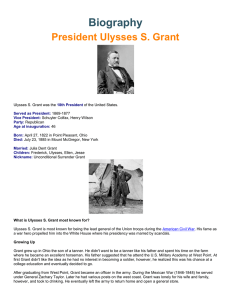 Grant's notable efforts as President included civil rights, civil service reform, and Indian policy. Grant's foreign policy under Hamilton Fish was successful and improved Anglo-American relations.Grant was opposed by the Liberal faction of the Republican Party, many of them founding fathers of the GOP, who denounced Grant for violating the party's emphasis on fighting corruption. The Liberals insisted that Reconstruction had been successful, that slavery and secessionism were dead. Liberals demanded that Army troops should be withdrawn from the South so that normal political life could resume. The Liberals nominated long-time Republican spokesman Horace Greeley in 1872, depriving Grant of the intellectual base of the Republican Party. 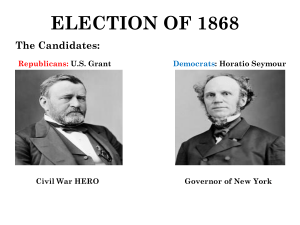 Greely was quietly supported by the Democrats, but was decisively defeated by Grant. 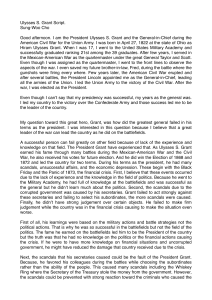 Rather than develop a cadre of trustworthy political advisers, Grant was overconfident in choosing his Cabinet; he relied heavily on former Army associates who had a thin understanding of politics and a weak sense of civilian ethics. His presidential reputation was severely damaged by repeated scandals and frauds.Having struggled to be a self-made man, Grant was extremely loyal to himself and his family, while trusting of close military associates that in turn caused dissension among reformers whom he believed were plotting to overthrow his presidency. 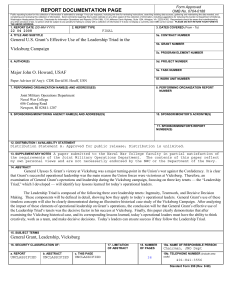 Grant dismissed three Cabinet members without notice or explanation. Two of his Cabinet secretaries (War and Navy), his personal secretary, and high officials he named to the Treasury department joined federal bribery or tax-evasion syndicates. Corruption charges were rampant in the Department of the Interior in 1874, until Grant appointed a reformer. Grant often defended the culprits, rather than the integrity of government service, while he attacked their accusers. Middle-class public opinion, a key element in the Republican Party base, turned hostile to Grant. 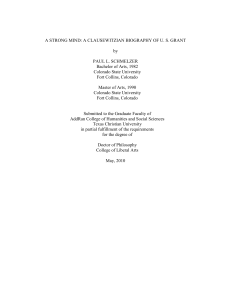 Some scholars, however, maintain that corruption charges were exaggerated during the Grant administration, and that Grant implemented civil service reform and ended the moiety system.Grant played a role in thwarting the Gold Ring in 1869 and the prosecution of the Whiskey Ring in 1875. His Attorney General Edwards Pierrepont and Postmaster General John A. J. Creswell made sweeping reforms in their respected departments, and several of Grant's Cabinet initiated civil service in their own departments. After a false start with weak selections, Grant named to his Cabinet leading reformers including Hamilton Fish, Benjamin Bristow, Alphonso Taft, and Amos T. Akerman. Fish, as Secretary of State, negotiated the Treaty of Washington and was successful at keeping the United States out of trouble with Britain and Spain. Bristow, as Secretary of Treasury, ended the corruption of the Whiskey Ring where distillers and corrupt officials made millions from tax evasion. Taft, a brilliant jurist as Attorney General, successfully negotiated for bipartisan panel to peacefully settle the controversial Election of 1876. Grant and Attorney General Akerman enforced civil rights legislation that protected African Americans and destroyed the Ku Klux Klan. Grant encouraged peaceful Congressional negotiations after the controversial Election of 1876; signed the Electoral Commission Act of 1877; while the Compromise of 1877 ended Reconstruction.Economically, Grant was a conservative who favored a hard-money, gold-based, anti-inflationary policy that entailed paying off the large national debt with gold. He reduced governmental spending, decreased the federal work force, and reduced the national debt, while tax revenues increased in the Treasury Department. During his second term in office, the Panic of 1873, caused by rampant railroad speculation, shook the nation's financial institutions; banks failed, prices fell, and unemployment surged. Before the Panic there had been eight years of tremendous industrial growth after the Civil War that fueled lavish money making schemes, personal greed, and national corruption. 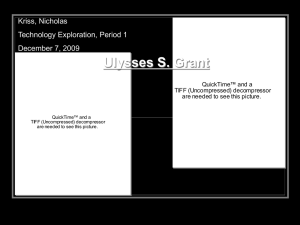 President Grant's contraction of money supply worsened the panic; the ensuing major U.S. depression that followed lasted for five years causing massive economic damage to the country. The Panic wiped out both the fortunes of business and corruption. Southern Reconstruction continued that included escalated sectional violence over the status of freedmen and fractured state party alliances and elections.With the completion of the Transcontinental Railroad in 1869, the West was wide open to expansionism that sometimes was challenged by hostile Native Americans. 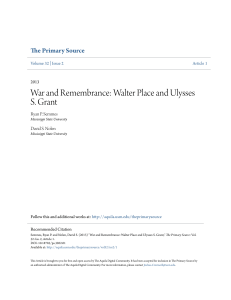 Grant implemented an innovative peace policy, though not always successful, with Native Americans. Hostilities took place with the Modoc War, the Red River War, and the Great Sioux War that culminated with the famous Battle of Little Bighorn where Lieutenant Colonel George Armstrong Custer was killed. In 1874, millions of buffalo were being slaughtered to make room for settlers and ranchers. Grant, who favored ranchers land use for domestic cattle, rejected legislation that would have limited the slaughter of the bison. After the fatal Modoc peace commission in 1873, Grant's Native American policy incorporated the military strategies favored by William T. Sherman and Phil Sheridan. 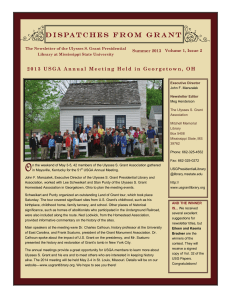 Grant gave legislative support to the early suffragette movement. Corruption was rampant in the Department of Indian Affairs under Secretary of Interior Columbus Delano. However, Grant and Secretary Delano did have success in the establishment of America's first national park, Yellowstone, and the San Carlos Apache Indian Reservation. The Interior Department corruption was cleaned up by Grant's Secretary Zachariah Chandler in 1875. Grant's presidential legacy has suffered due to his heavy-handed use of the U.S. Army to prop up his political allies in southern states. 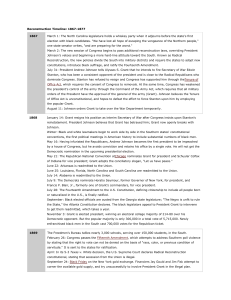 However, since the mid-1990s his presidential reputation has improved as historians emphasize his enforcement of African American civil rights in the South and his Peace policy towards Indians.